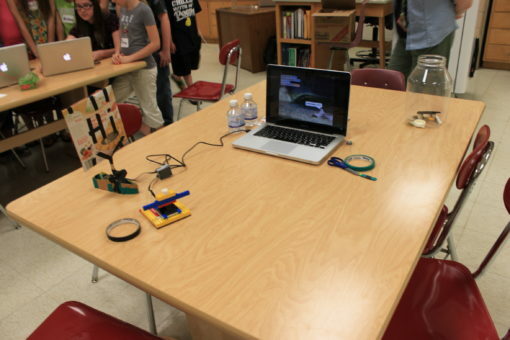 When Elizabeth Forward School District contacted MAKESHOP to teach a week of one of their summer enrichment classes, we weren’t sure what kind of activities we should plan. The class was called “Dream Factory 101”. 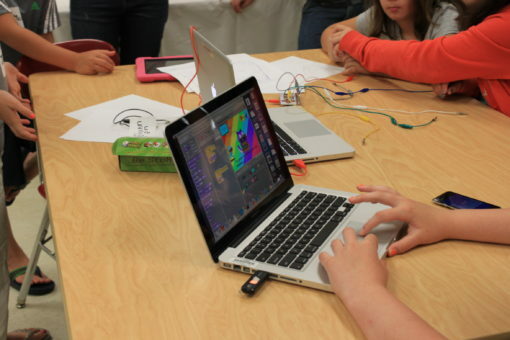 We knew the students would spend the second week learning about 3D modeling and printing, so we decided that our week would be about physical computing. 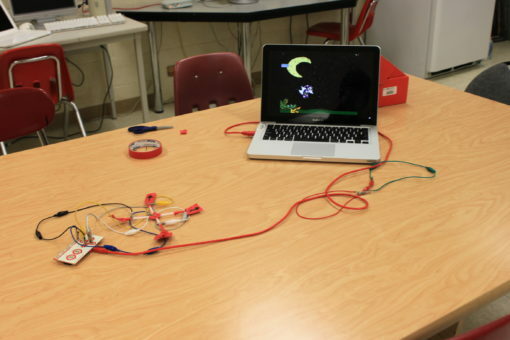 Physical computing is a term used to describe when computer programming affects things, and is affected by things, in the real world. Working with computers doesn’t have to mean staring at a screen and pressing a button! 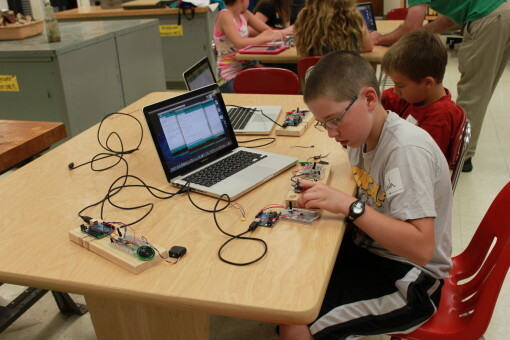 Two hours a day for five days the campers experimented with different software, sensors (ways to send information to the computer) and actuators (things in the physical world controlled by the computer). 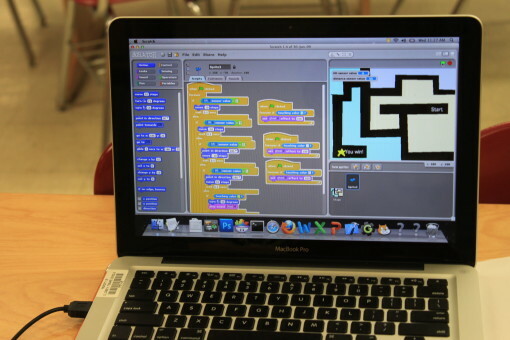 By the end of the week, different groups had discovered different interests and focuses: programming, asset (art and sound) creation, or physical interface creation. We discussed the importance of all of these different roles, and emphasized how important it is to work collaboratively and to share ideas and information. I had a blast planning and running these classes. Many of the students were genuinely excited about the work they were doing, some even continuing their projects at home and telling me they wished it was an all-day class. The local newspaper even wrote an article about it. I hope they all continue to create and explore with technology, and continue to be given these kinds of opportunities to do so!